The vast majority of cycle paths in the network are relatively flat and lead to many of the region’s most attractive beauty spots. Take your breaks wherever and whenever you like; there are no schedules and parking worries! 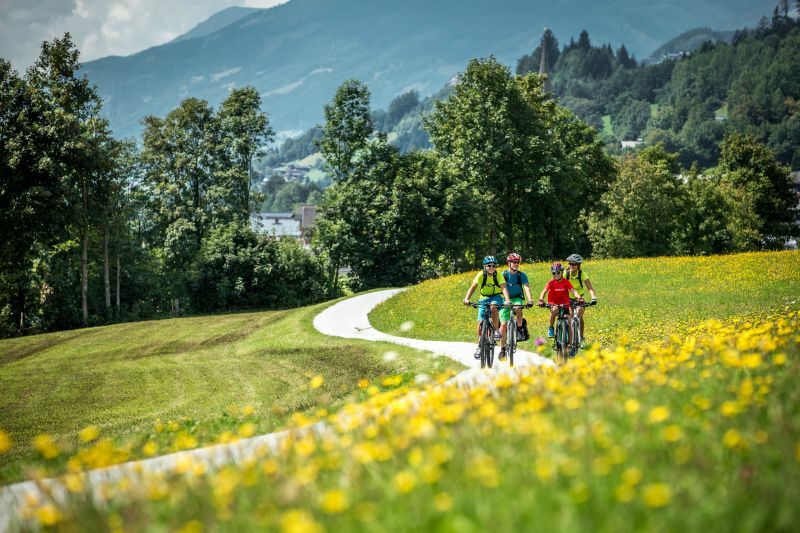 Golling is part of the Tauern cycle pathand the region of enjoyment and these cycle routes will take you through regions of intense Roman and Celtic activity! The Golling falls, the Bluntau valley nature reserve and the Salzachöfen can all be easily reached by bike. Our culinary bike map of the Tennengau is available at Golling Tourist Office. The excursion destinations in and around Golling can be wonderfully explored by bike. The modern bikes can be rented from Monday till Friday from 08.00a.m. to 12.00noon and from 01.00p.m. to 05.00p.m. at the Tourist Information in Golling. The price is € 15,00 per bike and day. The offer is available for guests with the TennengauPlus Card and for locals.